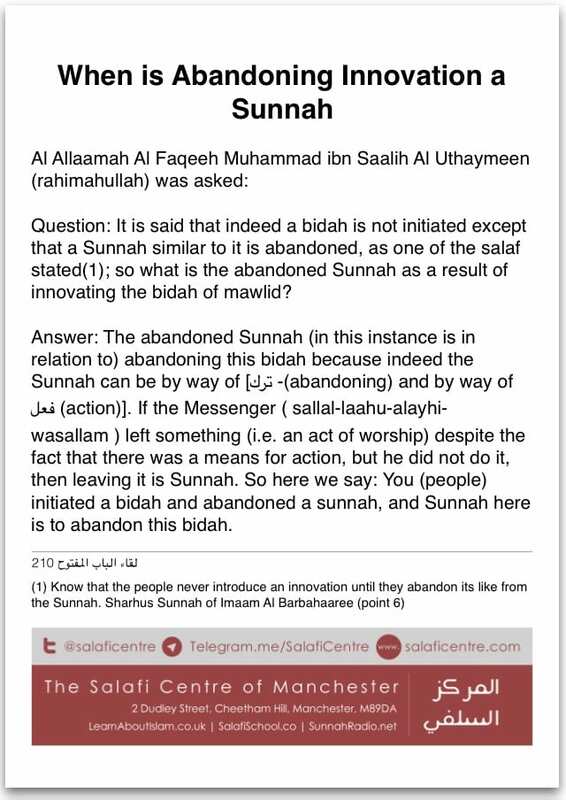 Question: It is said that indeed a bidah is not initiated except that a Sunnah similar to it is abandoned, as one of the salaf stated(1); so what is the abandoned Sunnah as a result of innovating the bidah of mawlid? Answer: The abandoned Sunnah (in this instance is in relation to) abandoning this bidah because indeed the Sunnah can be by way of [ترك -(abandoning) and by way of فعل (action)]. 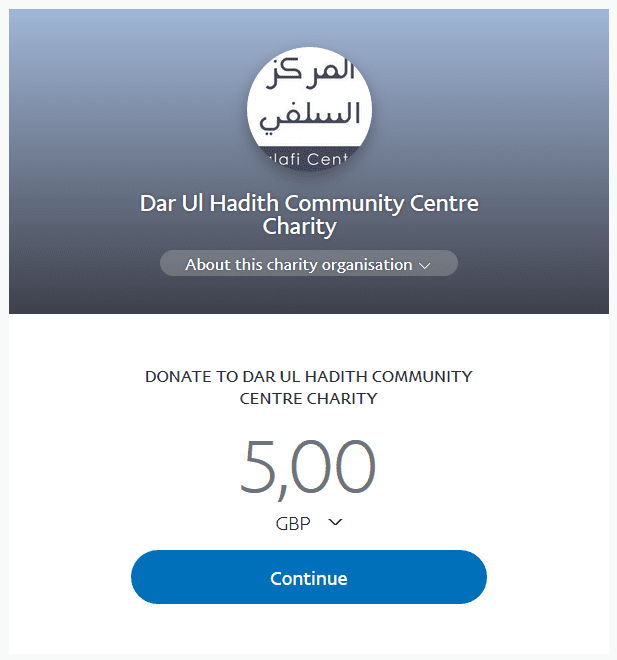 If the Messenger ( sallal-laahu-alayhi-wasallam ) left something (i.e. an act of worship) despite the fact that there was a means for action, but he did not do it, then leaving it is Sunnah. So here we say: You (people) initiated a bidah and abandoned a sunnah, and Sunnah here is to abandon this bidah. (1) Know that the people never introduce an innovation until they abandon its like from the Sunnah.